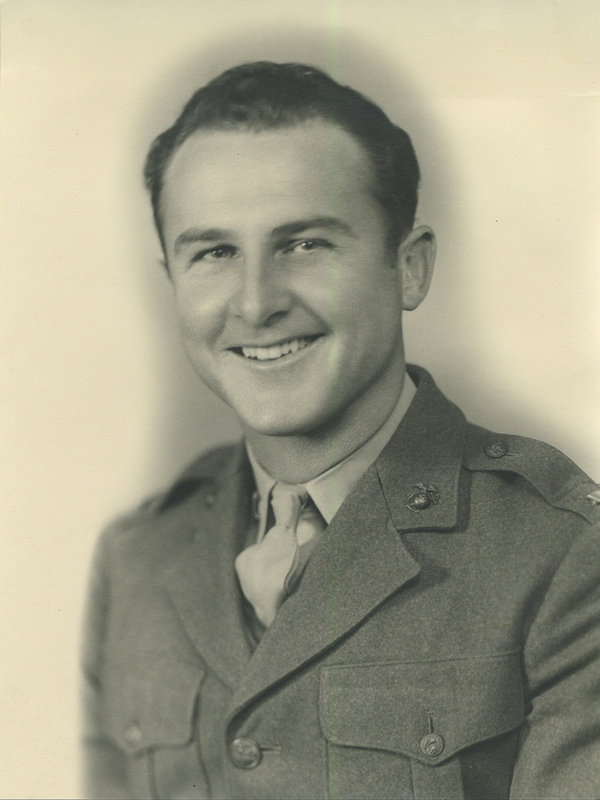 Arno G. Casper served in the USMC on the USS Portland from 1934 to 1938. During that time the Portland was utilized by President Roosevelt for travel and was the first of the Pacific fleet to cross the equator. After Amelia Earhart disappeared on July 2, 1937, the Portland joined in the search. Casper reenlisted as a Corporal in 1942 and was sent to Guadalcanal with the 1st Aviation Engineer Battalion. There, he was the non-commissioned officer in charge of the rehabilitation of Henderson Field and of constructing Sailer Field, named after Maj. Joseph Sailer. During the fall of 1942, Casper was injured when he dove onto coral to avoid an air attack on Henderson Field. Casper said he owed his life to Maj. Joe Foss and the Cactus Fighter Command’s quick actions that day. The USS Portland played a major role as it fought off the coast of Guadalcanal to keep Henderson Field open enabling 6,000 US troops to land. Casper was sent to Tinian and Okinawa. He left the military as a 1st Lieutenant in November 1945, and received the Navy Commendation Medal and Purple Heart. He died on Guadalcanal Day, Aug. 7, 2003, age 92.